BOYDS, Md. 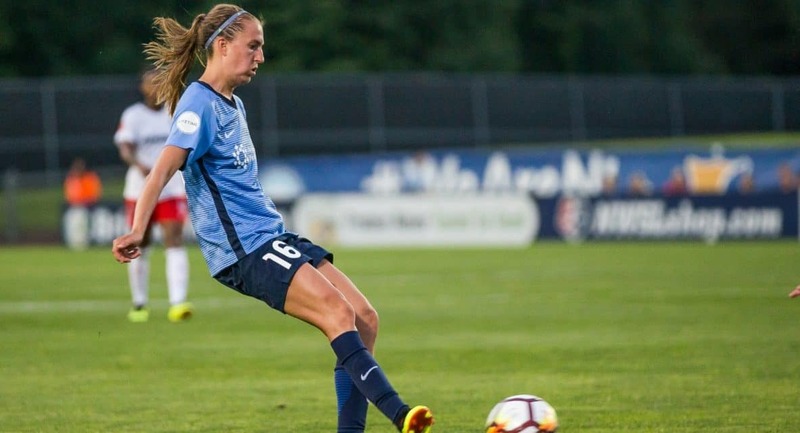 — There are two ways to look at Sky Blue FC’s 1-1 draw at the Washington Spirit Sunday morning. If you’re an optimist, you will point to the fact that captain Sarah Killion connected for the equalizer in the 87th minute at the Maryland SoccerPlex. If you’re a pessimist, you will note that the New Jersey club is still winless this National Women’s Soccer League season at 0-16-6 and only six points with two games remaining in the campaign. The game originally was delayed from Saturday night due to severe weather in the area and kicked off at 10 a.m. Sunday. Arielle Ship had given the Spirit (2-17-5, 11) the lead in the 71st minute. Coming out with an aggressive tone, Sky Blue FC spent a great deal of time in its attacking third throughout the opening half. The visitors created a good opportunity in the fifth minute when Shea Groom entered the left side of the box before centering a ball for Madison Tiernan. Tiernan touched around a defender and fired a strike that forced a diving stop by goalkeeper Aubrey Bledsoe. 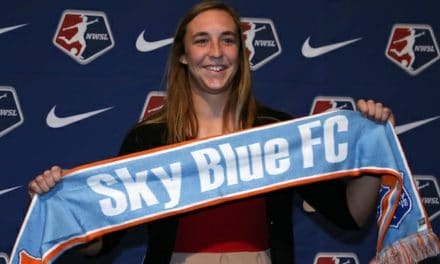 Sky Blue FC continued to create chances and soon found itself with a penalty kick opportunity after Killion was taken down inside the box in the 27th minute. Groom rifled a shot that struck the crossbar. In the 41st minute, Washington saw a chance when Francisca Ordega was played into a 1 v 1 run against goalkeeper Kailen Sheridan, but defender Domi Richardson tracked her and cleared the ball from danger. The visiting side nearly leveled the count when Groom fired a 48th-minute shot that forced another diving save by Bledsoe. In the 56th minute, the Jersey club was on the attack again when Killion played Groom into a 1 v 1 situation with Bledsoe, but the Washington keeper came off her post to stop the run. The deadlock was finally broken in the 71st minute after Sheridan made consecutive saves to keep the Spirit out of her net. Ship, however, got a final touch on a loose ball that was just out of range, giving Washington a 1-0 lead. Sky Blue FC went in heavy pursuit of an equalizer. The team nearly got one in the 78th minute when McKenzie Meehan hammered a hard strike into the left upper 90 of the crossbar. In the 87th minute, the visitors secured the equalizer. The sequence got started when Tiernan tracked a ball on the right side of the area before sending it back to the top of the box. After Groom dummied the ball, Killion blasted a shot that found the back of the net. 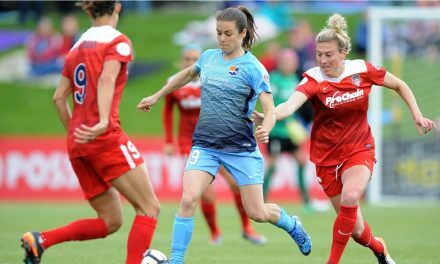 Sky Blue FC will conclude its four-game road stretch at the Chicago Red Stars Tuesday before returning home to Yurcak Field for its season finale hosting the Orlando Pride Saturday at noon.